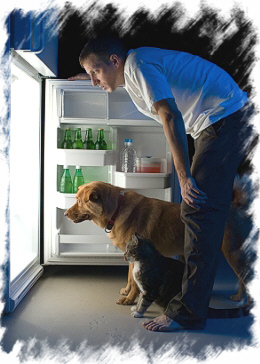 We've all been there, standing in front of an open refrigerator, gazing at the contents, ready to forage. Usually this is after dinner. We aren't hungry, just bored, lonely, sad and about to embark on some emotional eating. Maybe we are delaying the completion of a task, maybe we are just getting off the couch, possibly during a commercial about food. Whatever the reason, the destination is always the kitchen. It's easy. The walk is short. We open the refrigerator door and stare. An open refrigerator also calms crying babies, so possibly we are in a state of infantile regression. If we don't see something interesting right in front of us, some of us close the door until the next commercial break or moment of exasperation. Whatever the reason, or lack thereof, mindless eating has to do with our eyes, more than our stomach. It’s the see food eat food diet. So put your goodies WHERE YOU CAN'T SEE THEM. Use lower shelves, or hide treats behind taller items. Put sweets in the freezer where the thought of breaking a tooth may deter you from taking the first bite. Remember that unless the evening is really hot, all you are accomplishing is a waste of electricity. Snacking at night is a hard behavior to tackle, and there are several behavior changes you can make to curb your appetite. Try eating your dinner at a later hour. Or brush your teeth after dinner instead of before bed. Chew sugarless gum or drink water. Definitely don't eat where you sleep. If these are not deterrents, then buy snacks that are nutritious and leave junk food at the store. When you do start to rummage in that cold box, at least you will come away with healthy food instead of empty calories. Or if you absolutely need a sweet, buy the single serving sizes. That way you can eat the whole thing and not feel so guilty. 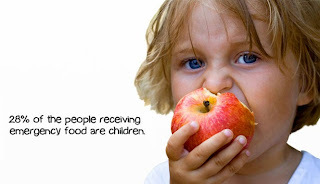 Remember that eating should be a conscious behavior. If you need more information, this book, Mindless Eating: Why We Eat More Than We Think will change the way you approach about your next meal. Food psychologist Brian Wansink revolutionizes our awareness of how much, what, and why we’re eating—often without realizing it. His findings will astound you.